Make note of the Availability of the product. This tells you when we expect to ship your product from our warehouse. Once your product has left our warehouse, the shipping method you select during Checkout will determine when your order will arrive. Products are only shipped during regular business days, which are Monday-Friday, excluding German bank holidays. If you receive an email notifying you that your products have been shipped during a weekend or federal holiday, they will not actually be shipped until the following business day. Please note: most items take a minimum of 1 to 2 days to leave our warehouse, before the shipping process begins. Additional time is required for monogramming and accenting of an item. If we shipped you the wrong product from Tumi.com, please contact our Customer Service Department immediately. It is important that you contact us before returning your product, so that we may assist you with return shipping fees. If you do not contact us, you are responsible for all return shipping charges. Before you call, please have your order number available. If you do not know your order number, please visit our Order Tracking page to find the number in your Order History. Please be prepared with a detailed description of the difference between the product you ordered and the product you received. At our warehouse, tracking numbers are assigned, when applicable, to packages immediately and generally appear on our website along with your order information. However, it may take up to 48 hours before the package is checked into the carrier's tracking system. Even though your package has already shipped from our warehouse and is on its way to you, the carrier may not be able to provide any information about your package for up to 48 hours. All questions regarding the status of a package with a tracking number should be directed to UPS. To contact the shipping company, simply click (add link to the UPS site since the tracking number now brings you to the Navar page). Why can't I ship an item I want from the website of a country to another country and vice versa? Customers can only purchase products off their local site. Tumi does not participate in cross border shipping. If you would like to ship to a selected country, the purchaser must purchase the products from that specific country's website. Tumi.com uses UPS to ship all customer orders. You may check the status of your most recent orders by clicking on "Track Orders" under My Account. You will be prompted to enter in your order number and either your post code or email address. You are required to enter an e-mail address during Checkout, so that you may receive emails regarding the status of your order. This will bring your to the Order History page, which will provide you with detailed information about your current and past orders. Click on the tracking number located next to the item you want to track in order to view your order status and expected delivery date. If order "is in route," you may opt to receive updates via SMS or email. If order "is processing," you may view an expected delivery date. You may also sign into your account and click on "View your order status." A link if also located in your confirmation email. Please note: order information may not appear in your order history on www.TUMI.com for up to 24 hours. Canceled: The order is in canceled status and will not be processed. You may submit an online repair request form by visiting our Service and Repair link TUMI.com/my-account/repairrequest/ and completing the online repair request form. Where is my Tracer Plate located? If you are not satisfied with a product that you have purchased, you may return the product within 30 days of delivery for a full refund of the purchase price, minus the shipping, handling, gift box, and other charges where applicable. Please note, however, that monogrammed and personalized items, including TUMI Accents, cannot be returned. The product must be returned unused, in original boxes (whenever possible), and with all paperwork, parts and accessories to ensure credit. Secure the prepaid shipping label from the Return Slip securely to the carton. Please make sure that the address to which it will ship is clearly legible. If you cannot find the Return Slip, please call our Customer Service Department or contact us at service_eu@tumi.com. Keep the UPS Return Tracking Number for your return in order to monitor delivery status. How do I return/exchange an item I purchase in another country? A product purchased within a country must be returned or exchanged within a physical TUMI Full Price retail store or physical TUMI Outlet store in the same country. Tumi.com orders can be returned using the provided label. However all Tumi.com orders must also be returned and exchanged to the country of purchase. Unfortunately, we do not accept exchanges at this time. If you wish to exchange a product, you must return the product by following the Return Instructions on the packing slip and re-order a new product at www.TUMI.com. Please note: www.TUMI.com is not responsible for shipping, handling, gift wrap, or other additional charges for returned products. How can I return my TUMI product when purchasing with PayPal? If you wish to return a product that you purchased using PayPal, you must return the product to Tumi.com. You may follow the Return Instructions on the packing slip as well. Please note: www.TUMI.com is not responsible for shipping, handling, gift wrap, or other additional charges for returned products. There are some changes you can make to your shopping cart. To remove a product, click "Remove". By clicking "Make this a Gift", you can select your gifting options. Then click "Continue" to proceed back to the shopping cart. Save a product for later. If there are products in your shopping cart that you want to save but do not wish to purchase immediately, you can move them to your With List by clicking "Move to Wish List". 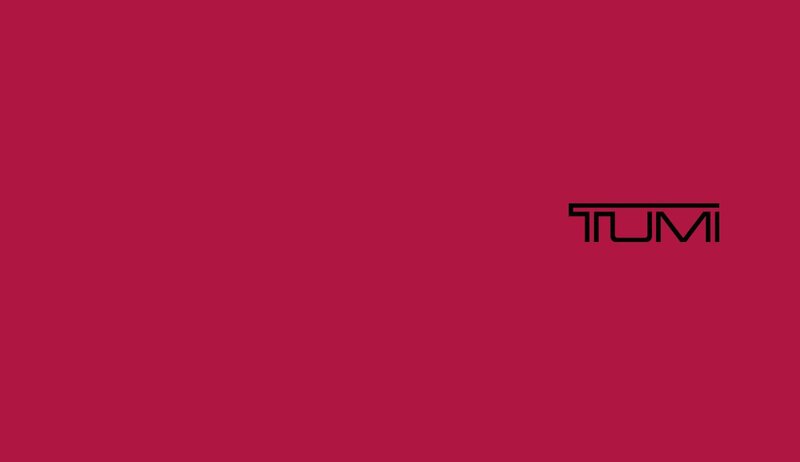 If you wish to continue shopping on www.tumi.com, you may click Continue Shopping. You can use the Shopping Cart to store products you wish to purchase. At any time, you can return to your cart by clicking "Shopping Cart" at the top of the page. You may submit your feedback to service_eu@tumi.com and your information will be forwarded to the appropriate department. Please visit the Setting Your Tumi Lock section for instructions TUMI.com/tumi-lock.html. If you would like more information about a product you see on www.TUMI.com, simply click on the product. This will take you to a Product Detail page that provides a complete product description. A product's availability is clearly noted on the Product Detail page as In Stock, Backorder, or Advanced Sale. Most products on our site are In Stock and ready to ship. Some products are either not yet available (Advanced Sale) or temporarily out-of-stock (Backorder).